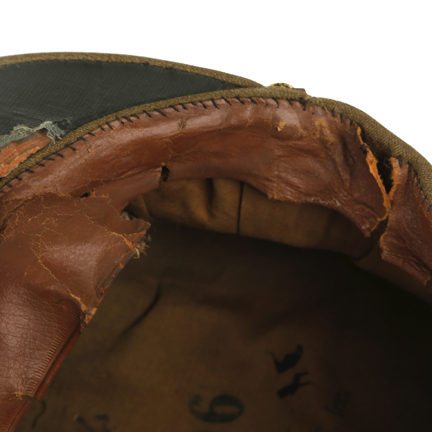 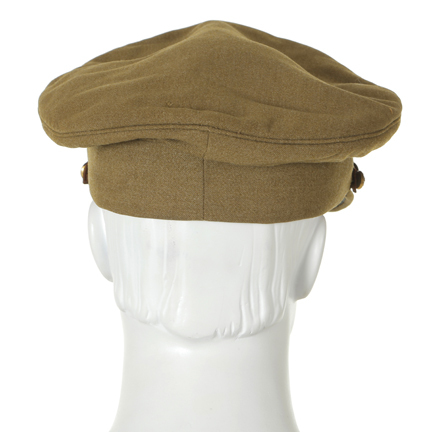 This hat was worn by the character “Jerry H. Young” portrayed by Frederic March in the 1933 motion picture “The Eagle and the Hawk”, costarring Cary Grant and Jack Oakie. 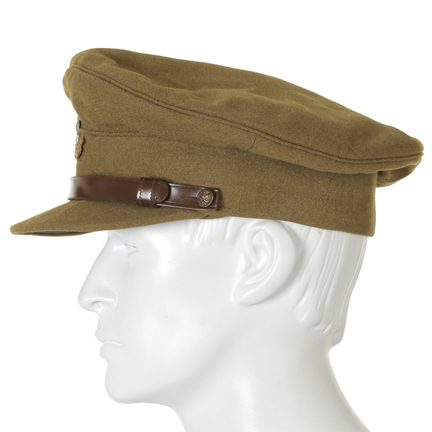 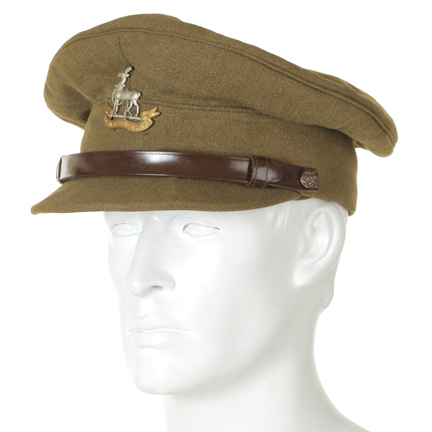 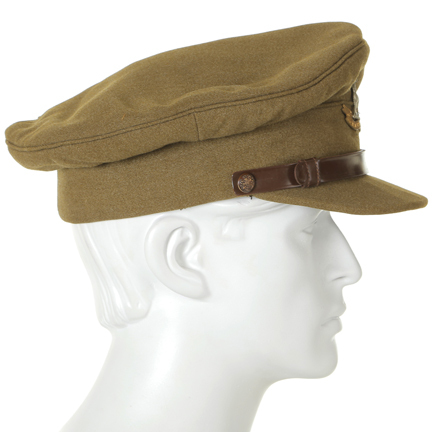 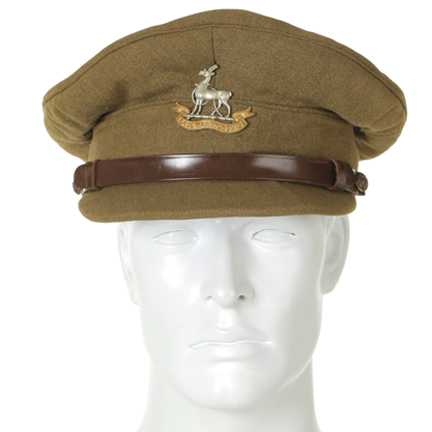 The army green military cap has “Royal Warwickshire” regiment insignia on the front with a leather strap attached by two gold buttons. 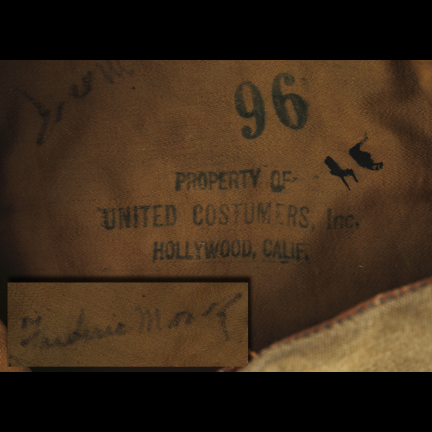 Internal “Property of United Costumers Inc., Hollywood, Calif.” Stamp, and “Frederic March” handwritten in black ink. 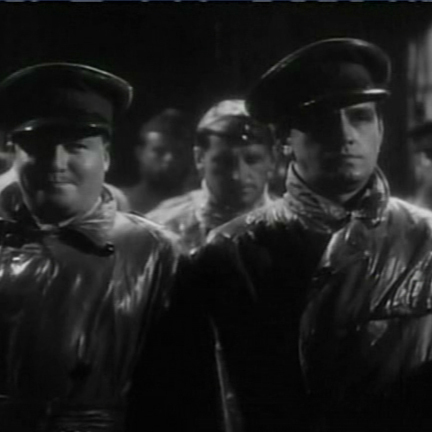 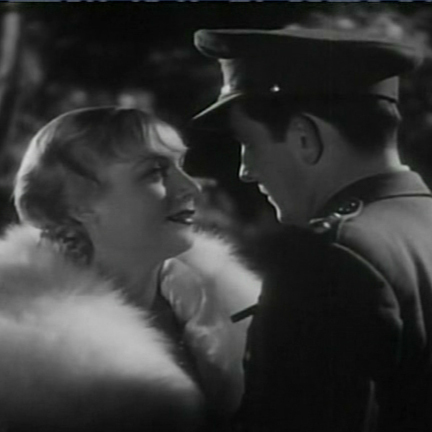 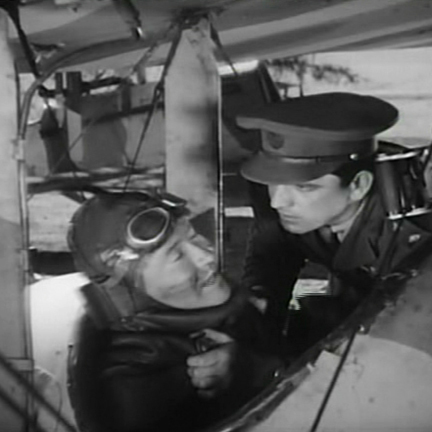 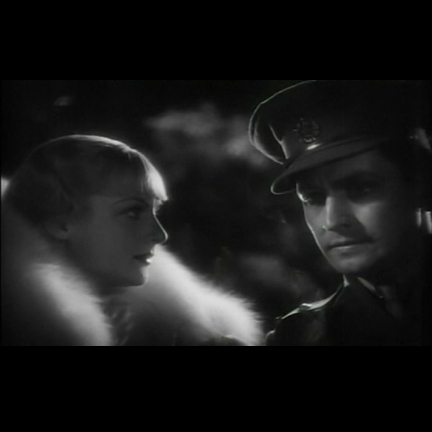 Mr. March wears this cap several times throughout the film, including the scene in which he receives a medal for his bravery. 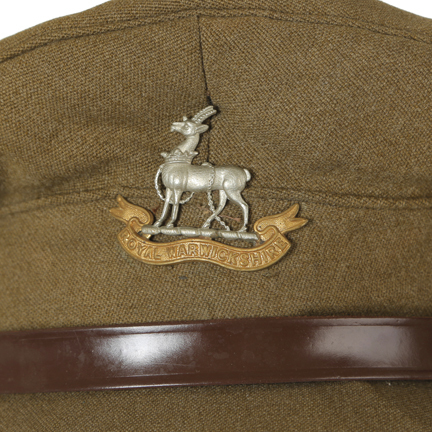 This garment is in excellent condition and is accompanied by a letter of authenticity from the costume house.